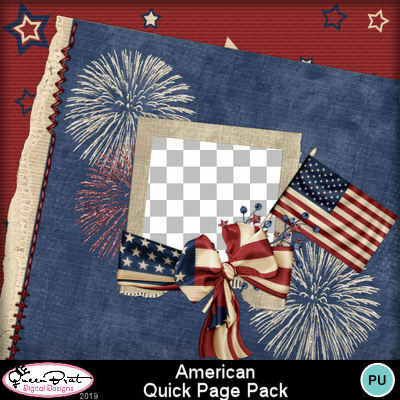 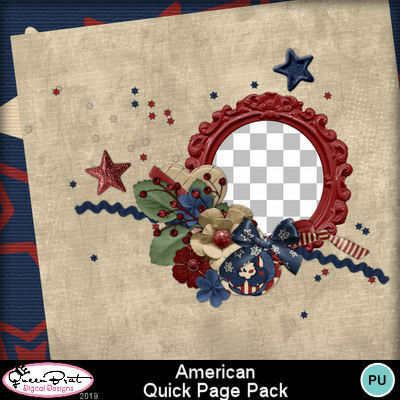 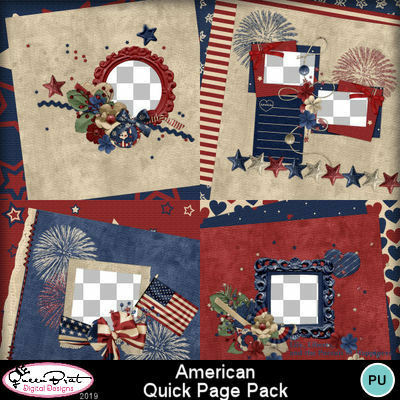 Quick Page Pack from 'American'. 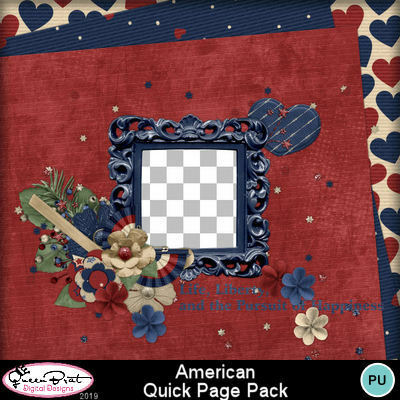 A rustic patriotic theme with lots of stars, hearts, and flags. 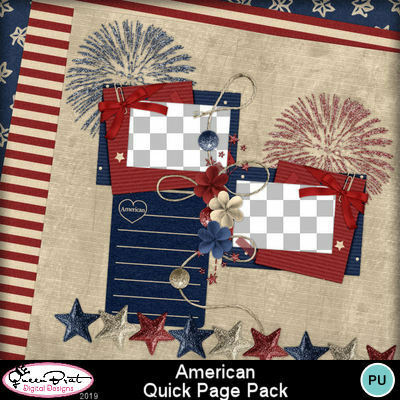 This is a must have for every patriotic American for use every day and patriotic holidays..